Does your car need synthetic oil? Getting an oil change in your car can get very costly. For a lot of people in Oakville, oil change is a hassle. One of the reasons why is that there is a wide variety of oils to choose from. It gets confusing to decide which oils to choose and which to skip. Considering the high prices, risks aren’t a suitable option. Many car owners are unaware of whether or not they need synthetic oil in their vehicle. The truth is, if it’s a necessity, your car’s user manual will state so. Therefore, take some time out and go through your vehicle’s user manual. If it says that synthetic oil is required, then you have no other option but to opt for a synthetic oil during your regular Oakville oil change sessions. This is usually a compulsion in high performance vehicles that have a turbo charged or supercharged engine. But, what if your car’s manual doesn’t state the need of synthetic oils? There is a chance that your car isn’t a high performance vehicle but you still want to try a synthetic oil. Here are some results you should expect. A synthetic oil change will last you longer than conventional motor oil. 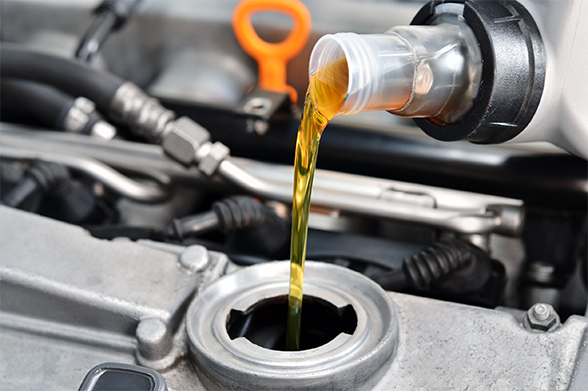 If your regular oil lasted you for 3,000 miles, synthetic oil will stay strong for up to 15,000 miles. This oil does not break down easily which means lesser viscosity and higher efficiency. Synthetic oils are least affected by temperature or weather. You’ll experience a smooth flow in winters as well as in summers. In the longer run, your engine will be cleaner if you used synthetic oil instead of motor oil. Considering the longevity and benefits, synthetic oils really don’t cost more than your regular oil changes. You will be paying a higher price on the spot but since the oil changes will be half as frequent, the overall cost will reduce. For people who want something better than conventional motor oils but don’t want to spend a huge sum on synthetic oils, there is an alternative. Synthetic blends are a mixture of the two types of oil. Their price point and benefits are somewhere in between motor oils and synthetic oils. Does your vehicle need it? It all comes down to preference unless the car manual has made synthetic oils a compulsion. If the decision is entirely up to you, you should do some research. Visit local oil manufacturers and ask them the claimed benefits of their product. Then, sit down and do a thorough cost to benefit analysis for each oil. You know your usage the best. Determine whether it will be beneficial for your day to day usage to opt for synthetic oils, motor oils or some other option. Synthetic oils are definitely beneficial but not every car owner needs those benefits. Unless you have a high performance car, the answer of whether or not your vehicle needs synthetic oil is variable.